The United Nations Volunteers (UNV) programme and UN Population Fund (UNFPA) are partnering on a Young Innovators FellowshipProgramme for 2019 that is aimed at individuals who want to develop their skill set in order lead change, those who want to advocate for the rights of young people in their countries and those passionate to drive innovation in the UN. This programme will provide them with the opportunity to engage in a structured programme to drive innovation, creativity and to deliver concrete results in UNFPA. 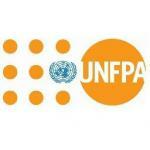 UNFPA is seeking twelve of the brightest and most ambitious youth globally to be a part the Fellowship Programme. This exciting development opportunity will see fourteen fellows join at UNFPA Headquarters in New York for a period of two months (April-May 2019) where fellows will undergo leadership training. Twelve fellows will then move to their Country Offices for a period of six months, in a capacity most relevant to their experience, while two fellows will remain at HQ. UNFPA recognizes the untapped potential of young people around the world. The organization wants to channel your energy and creativity to develop innovative solutions in their Country and Regional Offices. UNFPA's goal is to provide you with the essential tools, skillsets and international experience that will empower you to realize your career goals; the organization is looking for you to provide them with innovative insights and ideas that will enable them to be better aligned with youth problems in your community. mHealth: new mobile technologies to increase access to sexual reproductive health (SRH) services for adolescents and young people. Innovative fundraising: Exploring possibilities of fundraising through innovative partnerships, financial platforms and instruments and face-to-face fundraising activities. Browse the fellowships that For9a provides.